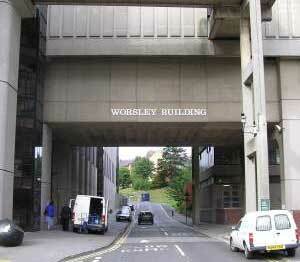 The Neuroanatomy Courses will be held on Levels 9 of the Worsley Medical and Dental Building . Entrances to the building can be found via road on level 4 or via the University of Leeds campus on level 7. The Worsley building is located on Leeds University's city campus two minutes walk from Leeds General Infirmary, and ten minutes walk from the train station.